With every step nurtured with scrutinizing efforts and brilliant performances, Aadi Saikumar, son of well celebrated iconic actor Sai Kumar has been showcasing a versatile acting. Having proved his potentials in Telugu territories, the actor is all set to extend his mark of feat into K-Town through a bilingual film. 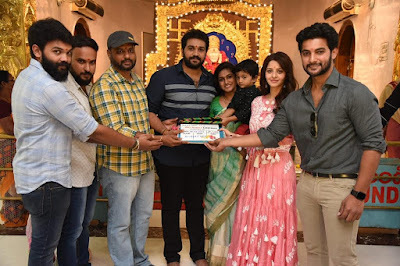 The untitled film that will be simultaneously made in Tamil and Telugu is produced by Kavya Mahesh for MG Auraa Cinemas Pvt Ltd in association with producer CV Kumar of Thirukumaran Entertainment and New Age Cinema. The film is directed by filmmakers-brothers Karthik-Vignesh duo. C Sathya is composing music for this film, which has cinematography handled by Gautham George, who had earlier assisted Nirav Shah in 2.0. The shooting of this film has already commenced in the exquisite locales of Talakonda and Chittoor.